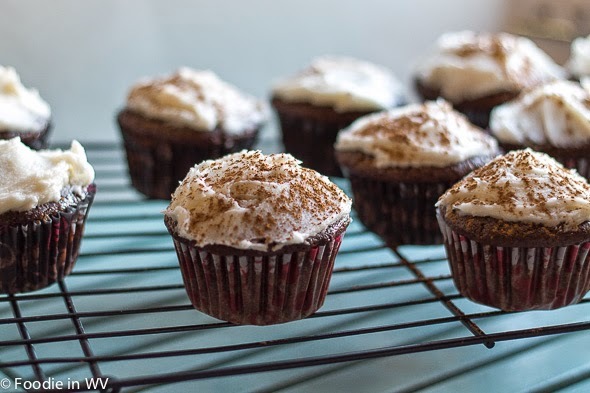 So now that I have babbled on about frosting, it's time for a cupcake (and frosting) recipe. My husband loves trying new kinds of beer and our fridge normally has a variety of brands and types. 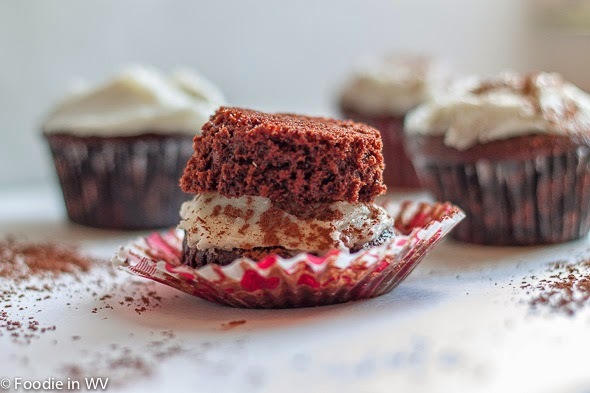 For the last six months my husband has been nagging me to try a cupcake recipe that he found using Milk Stout online. So I finally gave in and made them today for my mother-in-law's birthday. The recipe is as follows. A delicious combination of chocolate and beer (yes beer). Great for parties! 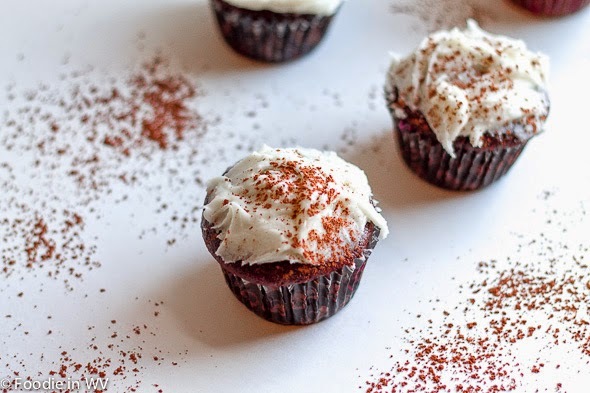 I love the combo of flavours in these cupcakes. They look so inviting with the frosting. Thanks :) The frosting was yummy! We've all been there with the frosting :) Funny how that happens sometimes. Yeah, frosting is so yummy and addicting! My husband likes stout too. I used to do the same thing with graham crackers, it's so good!!!! OMG these looks amazing! You had me at milk stout! Hope you had a great July 4th! Thanks :) I hope you had a great 4th of July too!